Ildiko Tabori, Ph.D., is a native of Los Angeles, California and has been working in the mental health field for more than 15 years. She received her PhD in Clinical Psychology from the California School of Professional Psychology at Los Angeles in 2003 and has been a practicing licensed psychologist and neuropsychologist since 2004. In 2011, Dr. Tabori was asked to become the Psychologist-in-Residence at the world famous Laugh Factory in Hollywood. Here, she works with comedians, actors, writers and other entertainment professionals to improve their emotional health and streamline their creative processes. After famous comedian Robin Williams tragically committed suicide, the increasing interest of the public to understand the tears behind the laughter came with high demand. Ildiko has recently been featured in The Los Angeles Times, The Guardian, CBS Los Angeles, NPR Radio, and ITV among many others. Dr. Tabori trained at the St. Jude Medical Center Regional Brain Injury and Spinal Cord Injury Program. She has been an adjunct clinical professor at Pepperdine University and has worked in the justice system evaluating and treating criminal offenders. Dr. Tabori provides media consultation and expertise in the field of psychology and has also consulted on screenplays and documentaries. 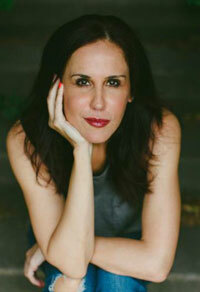 In addition to her work with the Laugh Factory, Dr. Tabori continues with her private practice in Los Angeles where she specializes in the areas of Individual, Couples and Family Therapy, Geriatrics, Neuropsychological and Psychological Assessment, Forensic and Criminal Psychology and media consultation. Dr. Tabori also provides consultation, evaluation and treatment to older adults and their families at the Hollenbeck-Palms Retirement Community. She is currently the consulting sport neuropsychologist for Peace and Sport. IldikoTabori_ITVInterview_4 8 14 from Much and House Public Relations on Vimeo. Studio11LA IldikoTabori 12-22-14 from Much and House Public Relations on Vimeo.